This Saturday night (April 13) the Speedway has the chance to break the record for the largest ever Demolition Derby field. The current record has stood for seventeen years. Direct from the Guinness Book of World Records this is the current situation. 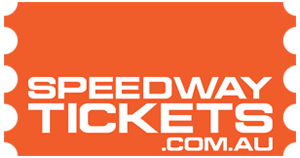 Currently there are 114 cars entered for this Saturday night’s Murray Bridge Speedway smash-fest and organizers are confident the record can be taken off the Kiwis. Leading the charge is a band of Whyalla wild men with a huge reputation for Demolition Derby glory. In the spirit of the “Dukes of hazard” driving style required to win these Demolition Derbies Knowles and his team of four mates are building a small army of “General Lee” and Police Cars for their assault. Should ten new entries surface in the days leading up to this Saturday night a brand new record for the biggest Demolition Derby ever held will be owned by the rural city of Murray Bridge and it’s iconic Speedway. Amongst the field will be five ‘Dukes of Hazard” from Whyalla hell-bent on creating a little history of their own!